To ensure that your gorgeous new ink stays bright and beautiful for years to come, be certain to take really good care of it, especially in the first few days. 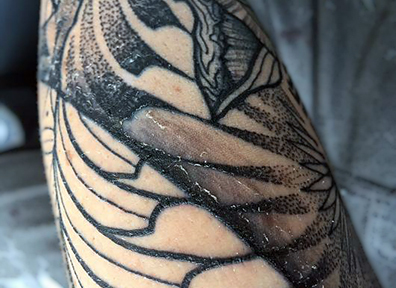 Your tattoo artist will most certainly have some specific tips for you, so of course, listen to his or her advice; Who knows better how to care for your new ink, than the artist who gave it to you? 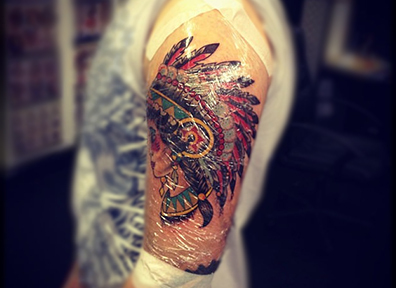 But there are some general rules that pretty much apply to all fresh tattoos and here are a few basic ones. When your tattoo artist is done, he or she will bandage your new ink. Leave the bandage in place for the first few hours. It is after all an open wound, so it will bleed and leak white blood cells and ink. You don’t want to stain your clothes or get an infection. For two to three weeks (or until the tattoo is healed), wash the tattoo a few times a day with unscented, antibacterial soap to avoid infections. Also remember to avoid touching your new tattoo as it is healing, and if you have to touch it, wash your hands first. For the first three days, after washing your tattoo, apply a thin layer of ointment to promote healing and keep the skin hydrated. It will help prevent cracking and peeling. After a few days, switch the ointment for a gentle, unscented moisturizer. To avoid damage to the tattoo or any significant ink loss, avoid the following for the first two weeks: submerging the tattoo in water for a long period of time, excessive sweating (good excuse to take time off the gym! 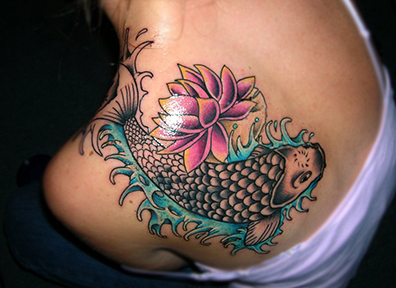 ), exposure to sunlight, and tight clothing that will rub against the fresh tattoo. Finally, don’t pick, peel or scratch the scabbing or the hard layers. These are normal and part of the healing process, picking them off can damage the tattoo or lead to a loss of color.